There’s a very personal story I’d like to share with you today. It’s a story about choices, about the great life decisions that transform us and shape our lives. A year ago I was looking for a way to move out of Romania for good. I felt overwhelmed, dissatisfied with the Romanian society and I kept looking for ways to justify my intentions. I wanted an easy way out and moving to another country looked like a feasible solution at the time. But something kept holding me back. After many debated with others and especially myself I decided to stay in Romania. And every day since I’m proven that I made the best decision ever! In the past year I have grown a lot, both professionally and spiritually. I got closer to my friends and family, I feel in love, I rediscovered myself and I really got to know what I’m capable of. But now I find reasons to grow even more, in a different context: in my community. 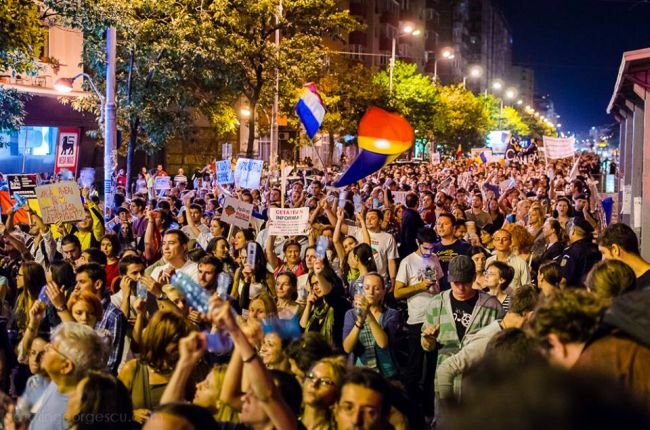 This fantastic article will open your eyes to what is happening in Romania right now in terms of social change. It will challenge you to want to learn more, to want to see more of what my generation is doing to change the status quo. My generation is trying to stop a gold mining project from destroying 4 mountains in Rosia Montana and from poisoning an huge area around it. Debates are a daily exercise and arguments are flying back and forth. The traditional media channels, especially the TV stations, have ignored the protests that have been going on for 9 days now. Yesterday, more than 10.000 gathered in Bucharest and hundreds other around the country and even around the world. Change is in the air. 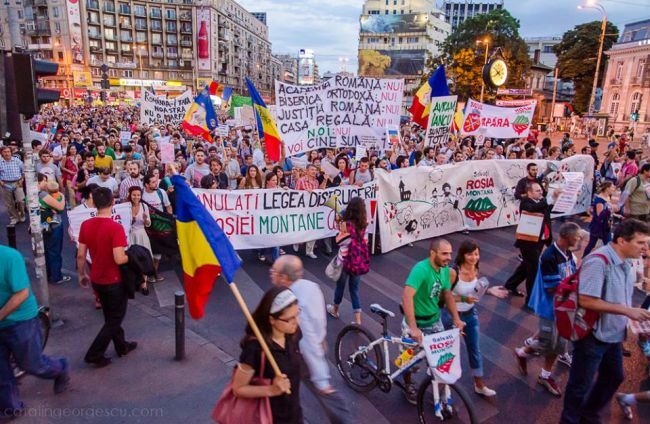 Romania’s young are rising and speaking their voice, especially online, but also offline, in the public square. They are doing so peacefully, respectfully. And the best part of this ongoing effort is that we are finally get in touch with each other. We are no longer keeping our discontent to ourselves, but we are actually doing something about it. This is something new for those my age and it’s making us realize how powerful we really are and how we can use this force to do good, to improve those issues that are deeply troubling to us. There’s a deeply enthusiastic feeling around the city each day. People are more hopeful, more aware of their surroundings. They’re looking at each other differently. They’re acknowledging each other. It’s a great time to be alive! And I get to be near my friends and family. I get to see my childhood’s places once in a while. I get to speak my language and I get to come home from a vacation abroad. Home where all these amazing people are taking to the streets to show that we can do things differently. Romania is rising! Is good that you had your family and your friends to keep you in Romania. Some of us did not had that at all. And money was not the only reason we left. So , I think you are rich because of what you own in your soul, and not of what you own in your pockets. Thank you very much for your kind words, Ronald! That is indeed how I feel. Romania promovata peste hotare, the best!! !